When you hear the word Villa what immediately comes to your mind is a luxurious, cozy place with a pool and all the amenities you would need. You would think of a well-spent day in the house while taking a rest breathing fresh air and viewing the panorama of nature. We have featured many homes like this and there are still more homes that would fit into something which we can consider a place for a long holiday. 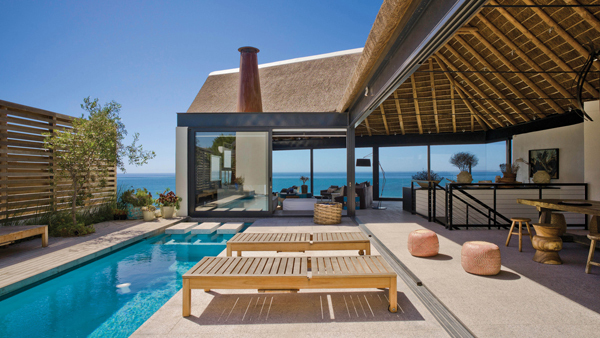 We are going to feature a house called the Silver Bay Villa located in Shelly Point, South Africa with an amazing design, view and landscape. 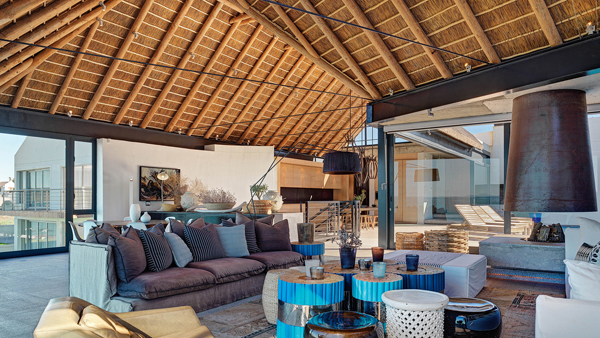 This beautiful contemporary holiday home is designed for a young family. 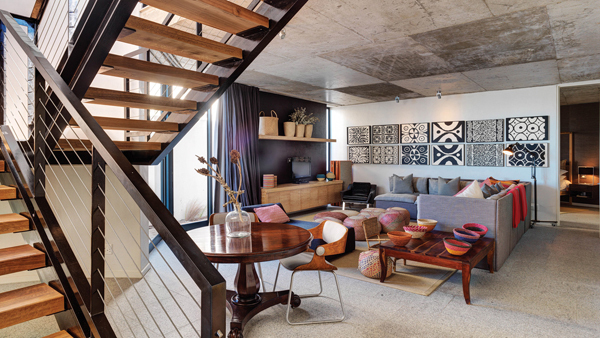 What we will see in the house is an interpretation of vernacular architecture with a contemporary approach. 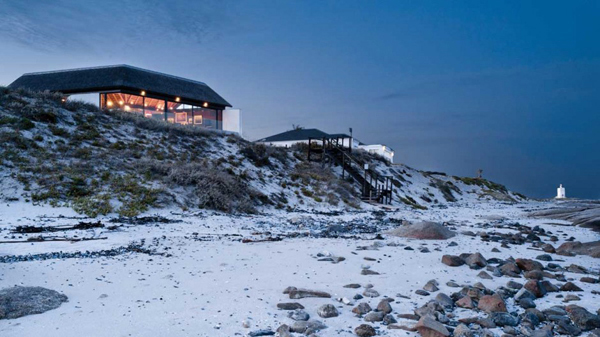 It has a glass facade that gives the owners a good view of the beach. 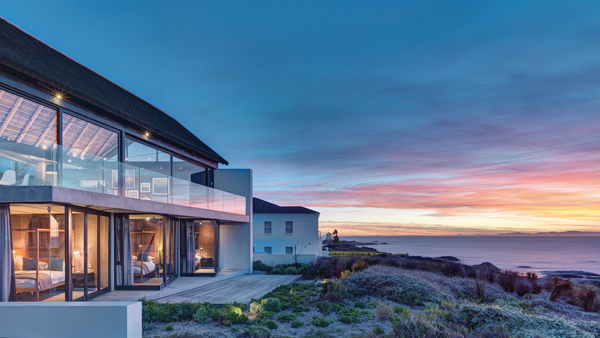 The house is designed by SAOTA and Antoni Associates. 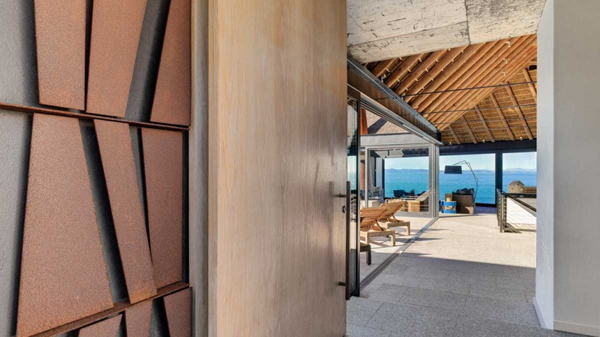 “The house needed to create an internal environment that maximized the connection with the view, minimized views on neighboring buildings and created sunny wind free outdoor living spaces,” says Greg Truen, Project Partner. Come take a look at the house below. 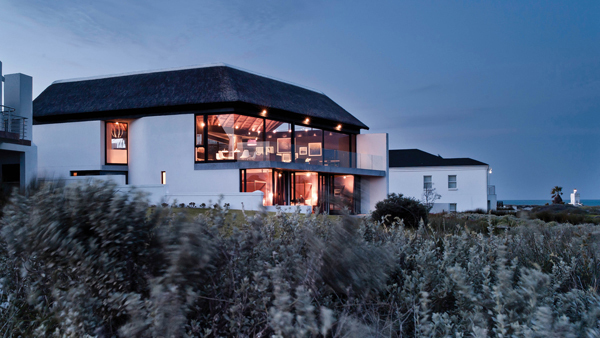 When seen from afar, you wouldn’t expect that a stunning luxurious villa is sitting atop this hill by the shore. 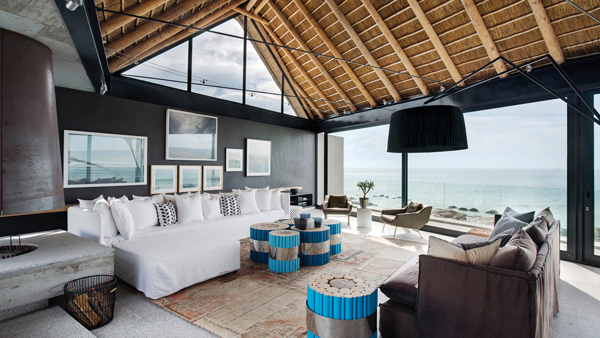 The living room faces the open sea with a contemporary eclectic beauty. We can see that in the design and materials used for the furniture as well as the decors. The coffee table is an interesting item in the living room. I am intrigued as to what material is used to make it. 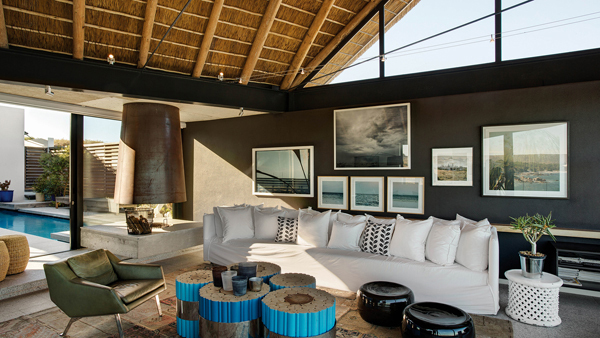 White framed sceneries fill the wall of the living room which seems to extend the beauty of the sea. 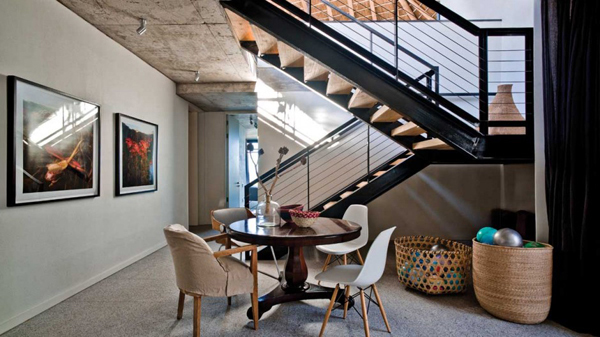 Just below the staircase is this breakfast nook with a mix of different chair designs. What I love in this family room are the wall decors. Yup, I do intend to make some DIY wall decors with these designs. Very interesting indeed! 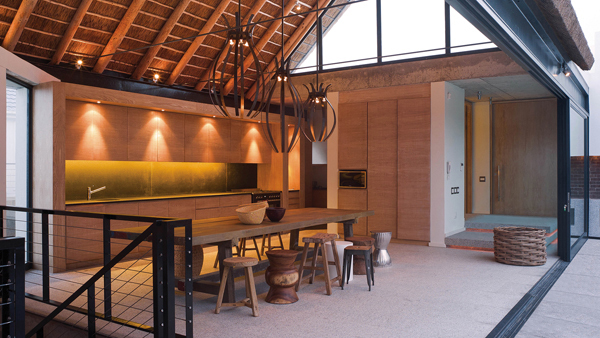 The kitchen has wooden finish and has that industrial feel with the choice of lighting. It has various stool designs too for the dining table. And yes, this area is directly connected to the pool deck with wooden lounge chairs. 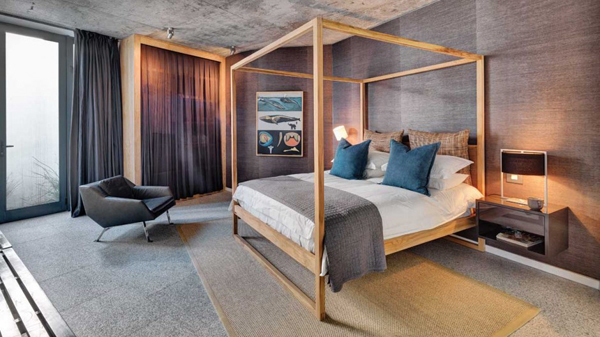 The bedroom has earth colors that give it a warm feel with a mix of earthy materials too. I think the walls seem to copy the texture of fabric. 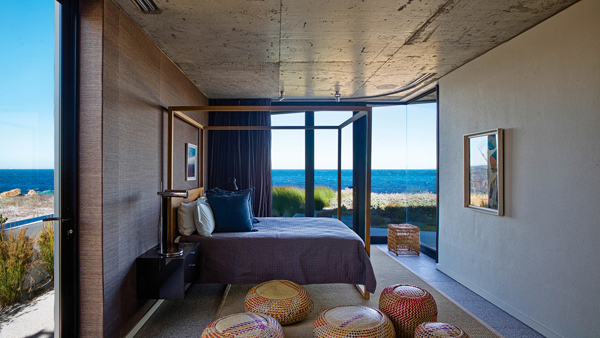 Adding a seating area or a bedroom lounge is a good idea for a house that is by the bay. Another lovely yet simple bedroom with a canopy bed and colorful ottomans for the bedroom lounge. The pool area has three rectangular concrete that seemed to float on the water. Guess you can use this for sitting while in the pool. 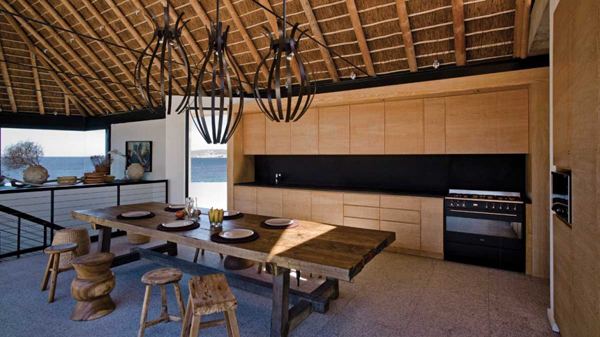 Around the pool is the kitchen, dining and living areas. The spaces are actually connected to each other. A wall in the hallway with an artistic design using geometric shapes for the wall. 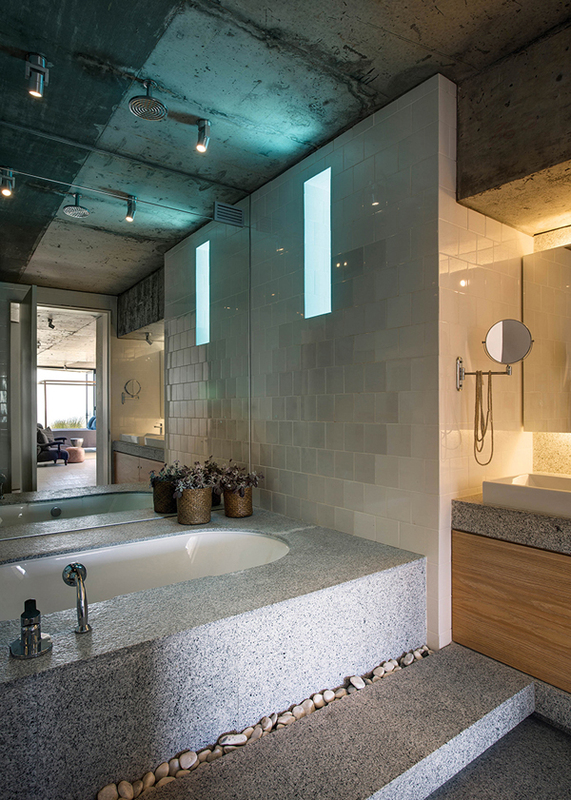 The bathroom has tiled walls and has that unique type of stone for the flooring and bath tub. Ah! What a lovely view of the setting sun! 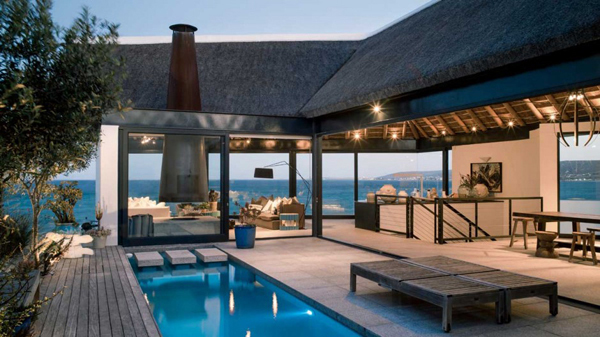 And the house is a beauty by itself which looks transparent from the outside. 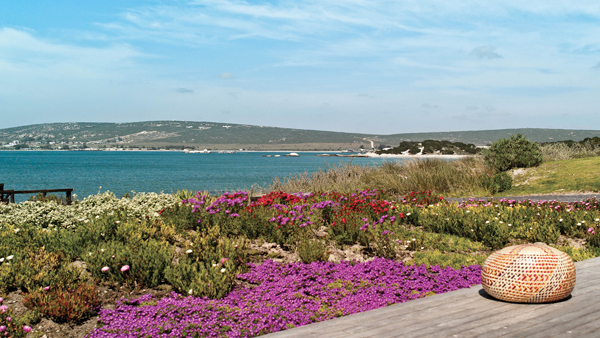 The house sits around nature not just with the ocean waters but with these natural landscaping too. And yes, flowers surround the home which makes it a perfect location for anyone who wants to live with nature around. I’d love to have a home like this! Everyone does! Just look at the ocean and the landscape- it will make you feel like you are always on a holiday. 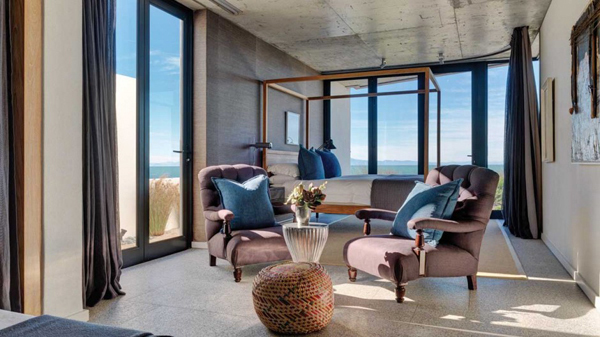 It is really an impressive design by SAOTA together with designers Antoni Associates who was able to create a layout that seems to unite the indoor and outdoor areas while making sure that the spaces are still well-defined. 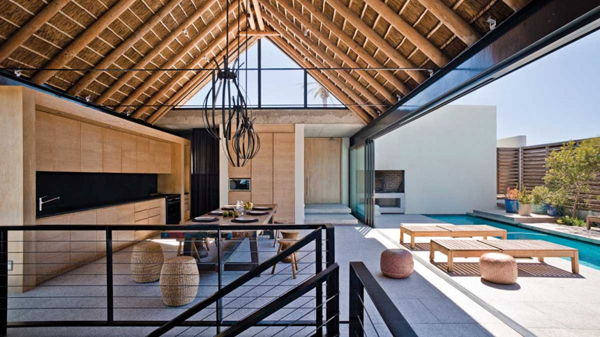 I also like how the interior was designed with a mix of modern and organic materials. It sure is a cozy place to live in!